Calculating median has never been an issue, as we have lots of solutions to calculate medians using CTE, user defined functions etc. 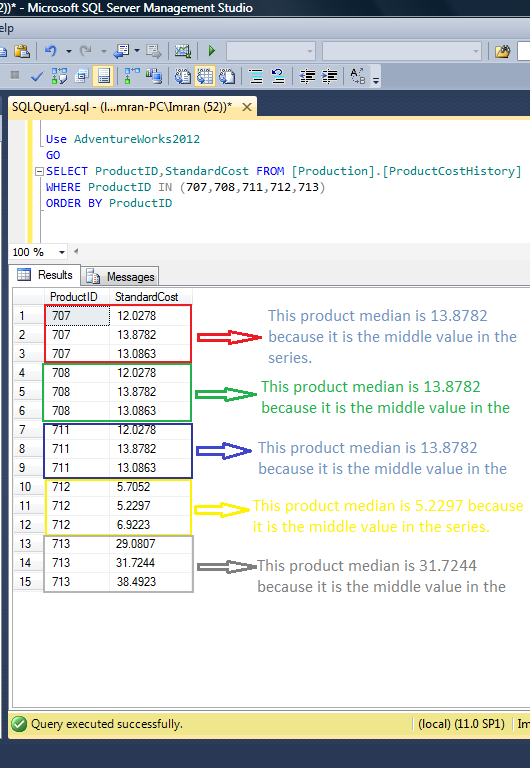 But what encourages me to write this post is, I found a shortcut to calculate the median using PERCENTILE_CONT (A new analytic function shipped in SQL Server 2012). Given below is the sample that I will use to demonstrate what is median. Given below is the script to calculate the median in a shortest way. 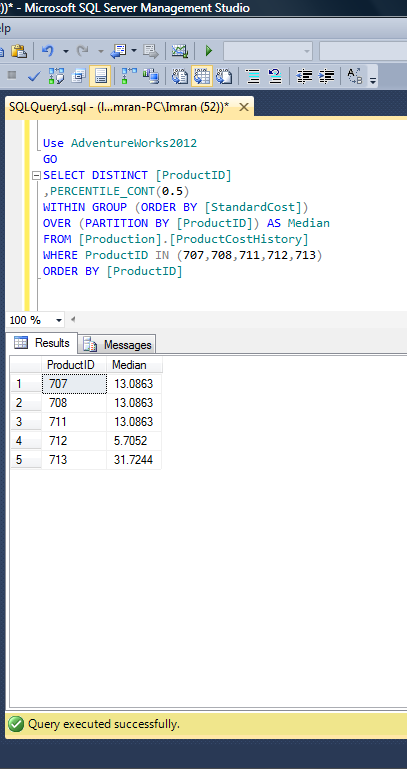 Note : Whenever you calculate median using PERCENTILE_CONT make sure it is PERCENTILE_CONT(0.5).